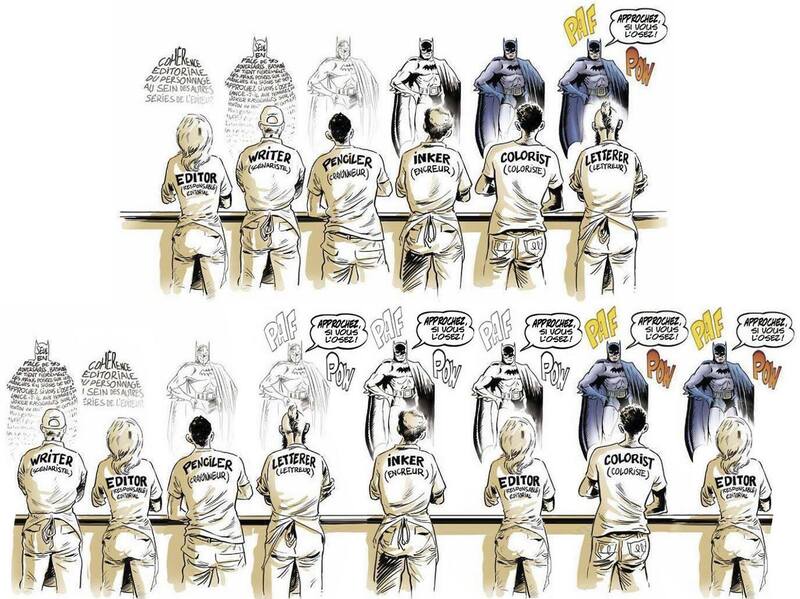 I’ve seen the top version posted here and there on social media (don’t know the artist). 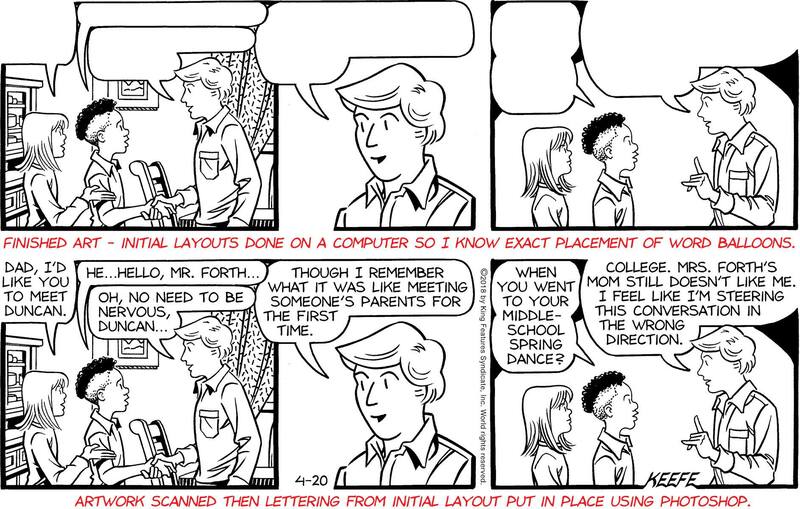 The bottom version is my variation using my experience working on syndicated comic strips (Flash Gordon/Sally Forth). For Sally Forth I’m the penciller, letterer, inker and colorist (colors for the Sunday page only, the dailies are colored in-house at King). For Flash Gordon I did everything but the editing, and the editor was once at the end. My variation puts the letterer before the inker in the assembly line of making comics. Putting lettering last can make for some badly placed type IMHO. Here’s Joe Kubert talking about how he lays out his lettering while penciling – and how he thought laying it in as an overlay as the last step was “a little nutty.” (Go to 5:51). I agree COMPLETELY with this sentiment! I do lettering the Kubert way – it just makes for a better marriage of words and pictures. A quick side note: Lettering is the “invisible art” of a comic page when done well. If done horribly it stands apart from the page like a sore thumb. Check out the Todd Klein Facebook page for examples of lettering done right. And last but not least, a top notch production staff is ESSENTIAL and are the unsung heroes of this business. Any kink in the chain, and no matter how outstanding particular individuals are, you’ll end up with a crappy product. This entry was posted in Business of Cartooning, Joe Kubert, Ramblings & Reviews and tagged Joe Kubert, Making Comics. Bookmark the permalink.